I decided to make a vertical antenna. I have seen very specific vertical “Rybakov 806” made by IV3SBE . The Rybakov 806 Multiband Antenna is a little different to other antennas , basically a 7.6m vertical end fed with a 4:1 un-un (unbalanced-unbalanced transformer). 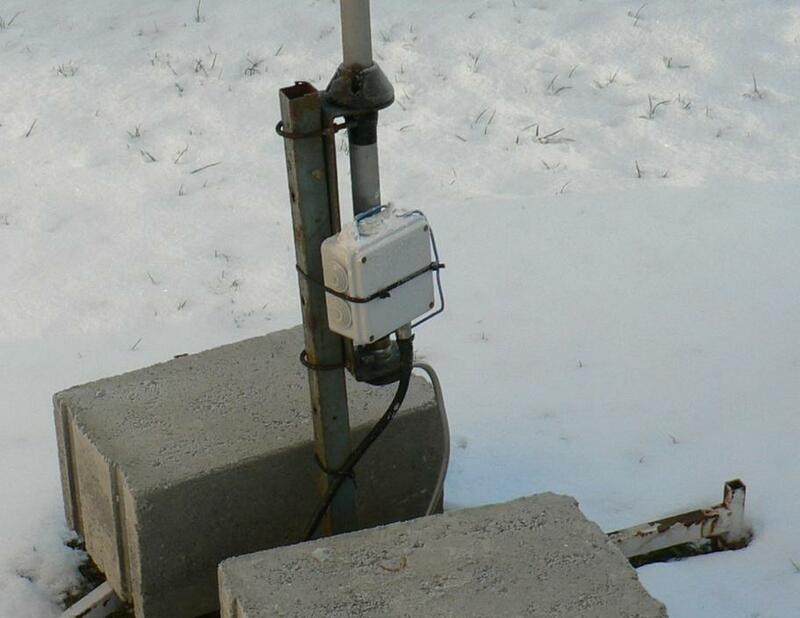 This antenna must be used in any case with antenna tuner. The idea of it is to be designed to not be resonant on any of the amateur bands. This allows you use tunner to get really nice SWR in more bands. What makes it special is that because it tunes up equally as well on the WARC bands with only about 7m of wire. Some HAMs have found that with a longer wire, in the region of 8.6 to 21m that they can use the antenna on 3.5MHz. I decided to make it longer (10,65 m) . I used an old CB-antenna. Removed the coil at the bottom and add some pipes to get length 10, 65 meters. Normally it is working without radials antenna need not any. But my son who lives in one home with me OK1BIL he helped me with new idea. He tested to add 12 radials different wave lengths to reach better gain. Now it has nice SWR response, good copy as a HF ground plane antenna.